While walking around Maroon Bells, I kept seeing patches of weeds with these feathery white flowers and curled leaves. They were quite beautiful and kept calling to me. Later I tried to find out what they were by asking the rangers but my descriptive powers weren't meshing with their databanks of information. 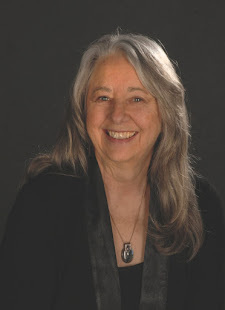 Later, when I was walking around Ashcroft, an old mining ghost town at 9500', I ran into Ben, the resident expert there and asked him if he knew flowers and he said it was one of his specialties. I tried describing my flower to him but he was drawing a blank, too. 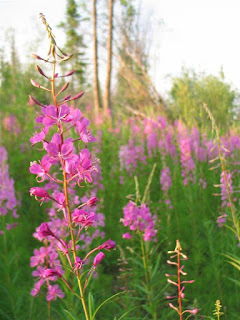 So, I dug my laptop out of the car and Ben and I poured over photographs of plants and my unknown flower which he immediately recognized as a fireweed in its last stage of seed producing. He also showed me a picture of it in its early flower stage. A dramatic difference ... both beautiful ... but it's hard to tell that they are both the same plant. Seems to remind me of the stages of life and the beauty that exists in all of them. 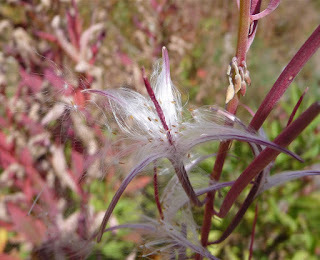 I actually think the late stage fireweed is the more beautiful ... but perhaps I'm prejudiced!